Before the Emperor's apparent demise, the Empire's greatest non-Force-sensitive combatants were selected for the Imperial Guard to serve and defend the Emperor himself. But being selected and developing into a guardsman were two different matters entirely. The Emperor chose worlds strong in the dark side for his academies--locations where his influence was strongest, where he could form a bond with his would-be guardsmen. In these academies, the candidates would undergo a relentless, merciless training regimen that included regularly scheduled battles to the death. Regardless of what kind of person entered an Imperial Guard academy, if they survived they would emerge as a honed-to-perfection killing machine molded to the Emperor's will. More than two dozen moons orbit the Outer Rim gas giant Yavin. 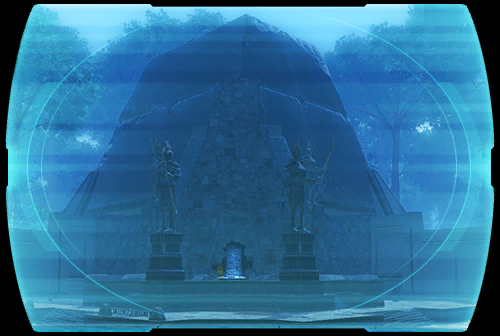 Of those moons, the one designated Yavin 4 is by far the most habitable, supporting a vast array of flora and fauna within its lush and endless jungles.